I know is a matter of time, the civilians will get tired of being sick and tired with this foolish SARS officers that government cannot term. 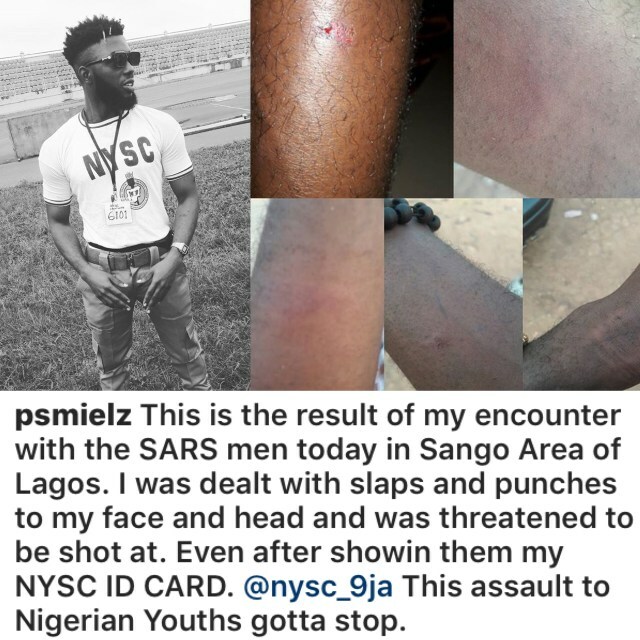 Everybody has been complaining of the way they are manhandling people of the road and yet Nigeria government or even NPF are not doing anything about it. 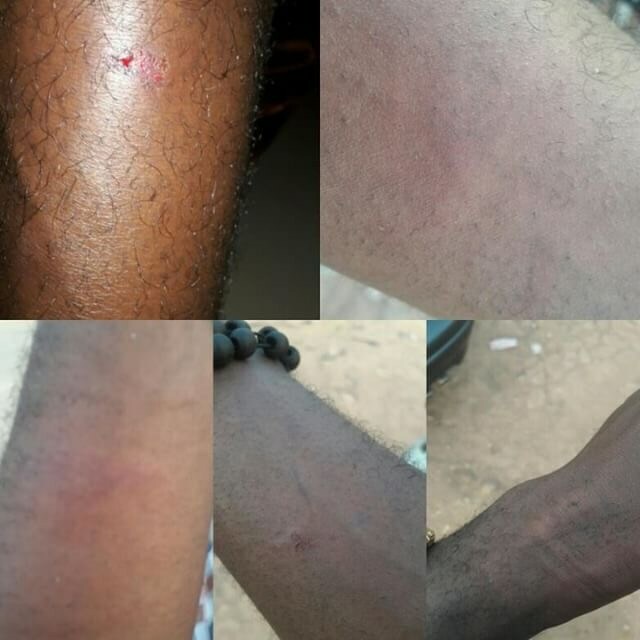 A corp members narrated his ordeal with this animals who call themselves officers. According to him, the sad incident happened today in Ogun State. While narrating what happened, he said: “I had double encounters with SARS at Sango Toll Gate. They stopped the cab I was in and asked me to alight from the vehicle. I got down and showed them my NYSC ID card and Artiste ID card. They asked to check my phone but I refused, I told them I just met their colleagues at Meiran and I was already getting frustrated with the way and manner they were stopping me for no reason, not like I was dressed shabily. They asked me to get into their bus but I refused, suddenly a struggle ensued causing another scene again. I kept struggling with 2 of the SARS guys until their boss who’s well built and very masculine gave me series of slaps and blows before I obliged. Meanwhile onlookers were just watching without anyone coming to my rescue. While in the bus, their boss said I injured him while struggling with them and for that I was going to pay for letting him bleed. That’s how I was turned into a punching bag by this. All this was happening while their bus driver who’s actually a local bus commuter driver was driving. After about an hour I was already thinking they were kidnappers due to the lonely areas we’ve been plying. When he was done checking my phone without seeing nothing incriminating, he was like so I’m I a Yahoo Boy I said No. He then told the bus driver to stop at a Govt primary school field where touts do come to smoke Marijuana. He then treathened to shoot me and dump my body at the bush saying nothing will happen. They said so because I’m a Corper that I think I can struggle with them. That they don’t know who is giving us useless orientation.